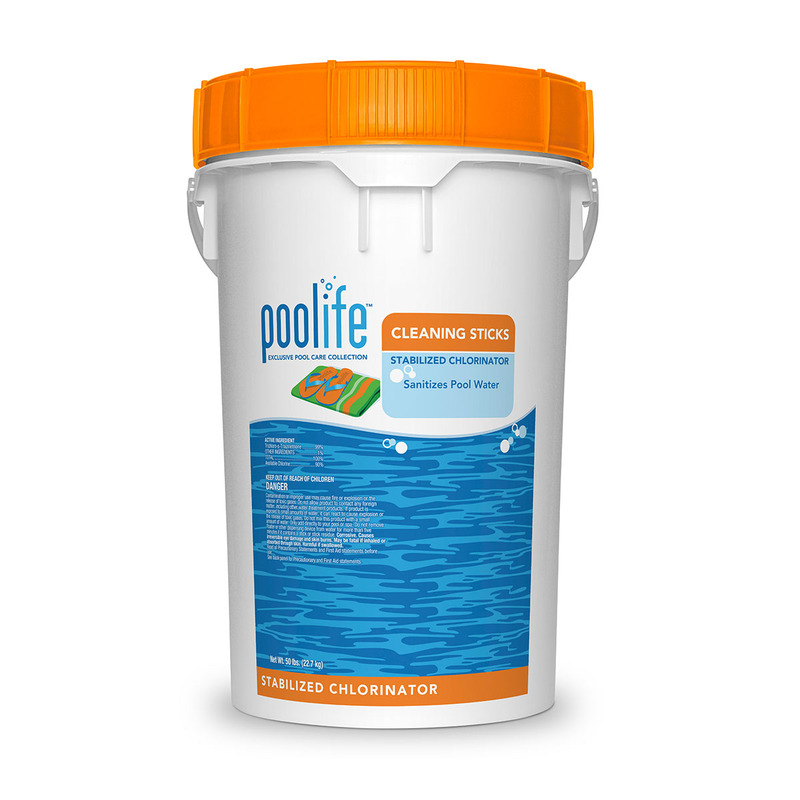 When using poolife® Cleaning Sticks Stabilized Chlorinator, shock treat at least once a week using poolife® TurboShock® shock treatment or poolife® Rapid Shock® shock treatment. For best results add sticks to a new, clean skimmer, floater or automatic feeder. Always read feeder instructions before use. AVAILABLE SIZES: 8 lbs. / 20 lbs. / 50 lbs.